Specializing in projects for healthcare, education, research, and commercial real estate. Since being founded in 1998, JBC has gone through many changes as a company with the exception of our logo. That is, until now! 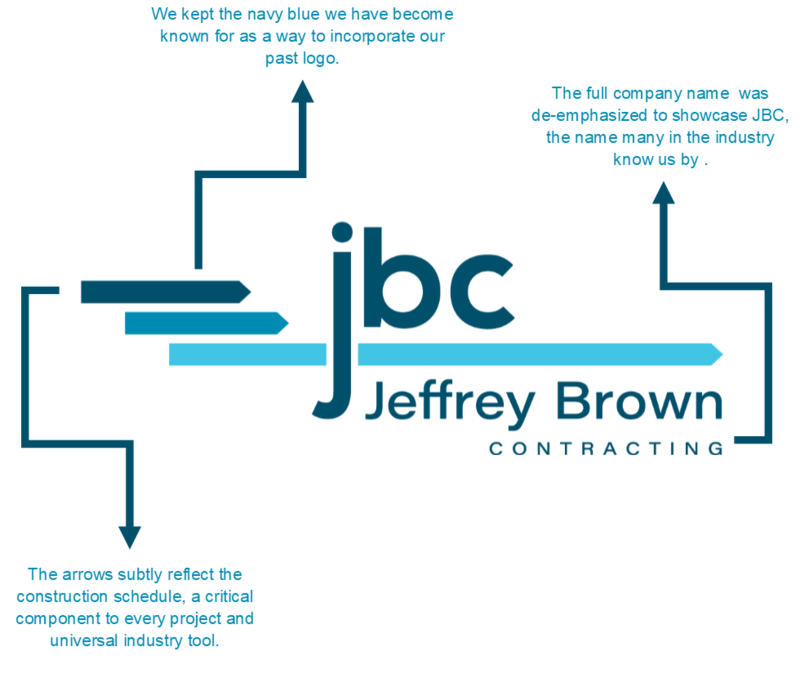 JBC is unveiling our newly reconstructed logo that is a contemporary take on the ‘JBC’ many in the industry know us as. Though a drastic difference from the logo we’ve had for 19 years, the new look incorporates the navy that has always been an anchor of our identity. While we have been working with a creative partner to build our new logo, it was actually our very own President, Jeff Brown, who developed the logo’s concept. It incorporates a subtle nod to the construction schedule, a critical component of every project and a universal industry tool.